The 3rd episode of Dishonor takes the mystery in an entirely different direction than I had expected. After meeting Basel and Keyserling, Kircheis then follows a man acting as though he was on drugs. He is then ambushed and survives before going on to save a woman from a hostage situation. He finally figures out who is behind the drugs plot, but he has to convince Keyserling to revisit what he had said at his court martial. The episode begins with Kircheis meeting Keyserling and Basel at the hotel. From the outset, something seems off. 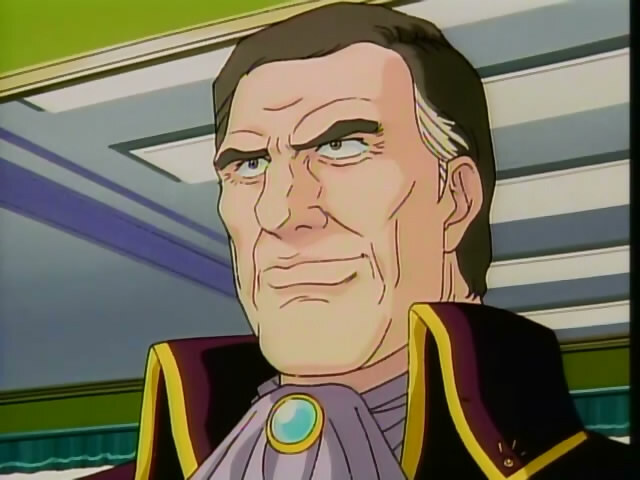 Basel identifies Kircheis as being Reinhard’s subordinate, and seems annoyed that he is able to meet him in the first place. He also doesn’t seem to care much about his friend or his desire to see Johanna. After that, Kircheis stops in at a cafe for a bit, but that is interrupted by a man dropping a cup of coffee at the counter. He’s clearly angry and on drugs, but proceeds to another location to draw Kircheis into a trap. That happens to be a gravity-less room with 5 men holding knives and wearing thrusters all trying to kill him. Kircheis makes slow work of defeating 2 of the men, while onlookers express a combination of shock that they fighting is real and wanting to bet on it. Hoffmann intervenes when it is down to 3-on-1, but they are forced to chase after one of the men who took a hostage. He demands a ship to leave the station, but as he reaches up in anger, Kircheis shoots him in the hand and the man is detained. I finally arrived to tell you what the plot is, Kircheis. The whole drug trafficking ring is then revealed. Basel had been orchestrating it while serving as Keyserling’s subordinate. Usage had spread so far that it affected even the higher officers who probably hallucinated at the battle that turned so badly and ended Keyserling’s military career. However, Keyserling never mentioned this at the court martial, which allowed the trafficking to continue in military circles. 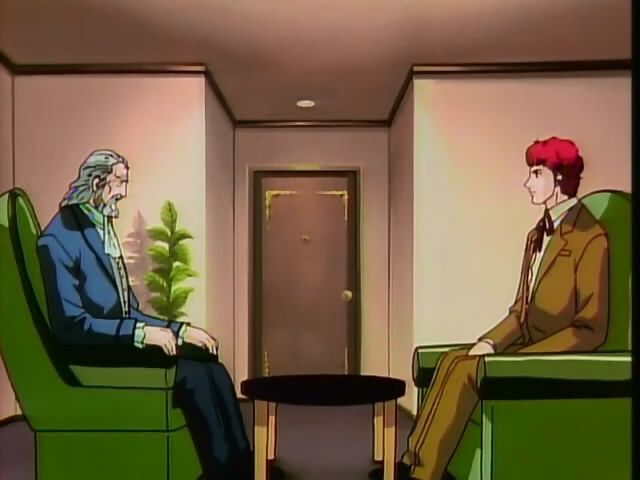 Kircheis then goes and confronts Keyserling at his hotel room. Keyserling says that the reason he didn’t testify against Basel at the court martial was because he didn’t want to make Johanna upset. Kircheis comes to discover that Keyserling didn’t have much honor at all because he was always making decisions on what would make a woman he would never be with happy. He saw some parallels with his own relationship with Annerose in there. Ultimately, he does get through to him by appealing to a sense of social justice. He points out the amount of damage that is being done to soldiers because the drug continues to be trafficked. For once, Keyserling finally feels a sense of dishonor at the fact that he had placed his own sentimentality ahead of the lives of the men who served under him. Thoughts: Another over-the-top detective story episode here. 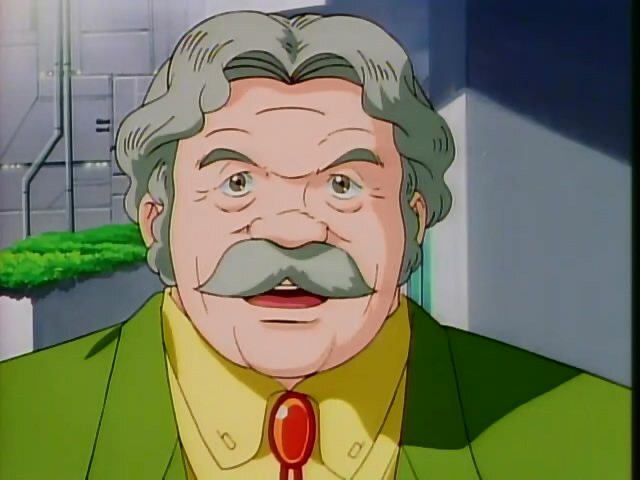 I was completely wrong last week, but Basel as a villain is so obvious as to be ridiculous in my opinion. The fight in zero gravity was done pretty well, as Kircheis was actually beginning to tire from fighting so many men rather than just owning all of them. Keyserling, on the other hand, is a character I think comes off rather badly here, but he can strike a chord with a larger audience. He represents what it’s like to be unable to move on from any relationship. You lose sight of what really matters because of one tragic mistake. Kircheis should have learned a lot from this, unfortunately his relationship with Annerose never comes to fruition. Keyserling is a really pathetic figure. 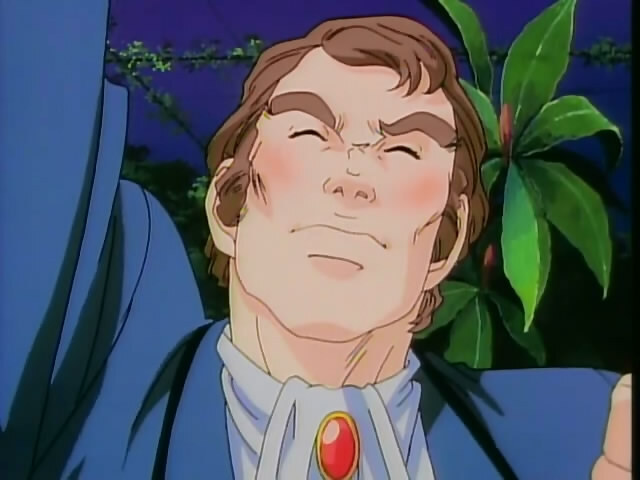 However, I found the resolution in the next episode satisfactory – I think the whole point of this arc was to get into Kircheis’ head – late-arriving Obvious Villain is Obvious tends towards that too – no great problem is being resolved here, lol. It kind of makes me question the point of this arc in the grand scheme of things. It really is just about giving Kircheis his own arc. I feel like the mistakes made that concerned making other people happy or unhappy was a real life parable. It just doesn’t feel like Legend of the Galactic Heroes is really the right place to make that sort of statement. The novels are almost 30 years old, so I think any message applying that to modern times is just a projection of the viewer.